Join us for a tour to the small but beautiful island of Mauritius - the local saying is “you are only one hour away from anywhere on the island”! Set in the Indian Ocean off the coast of Madagascar, the local language is French despite the fact the French beat the British Navy in the 1800’s, it didn't prevent them from landing 3 months later and it became a British colony until 1968 when it gained its independence. 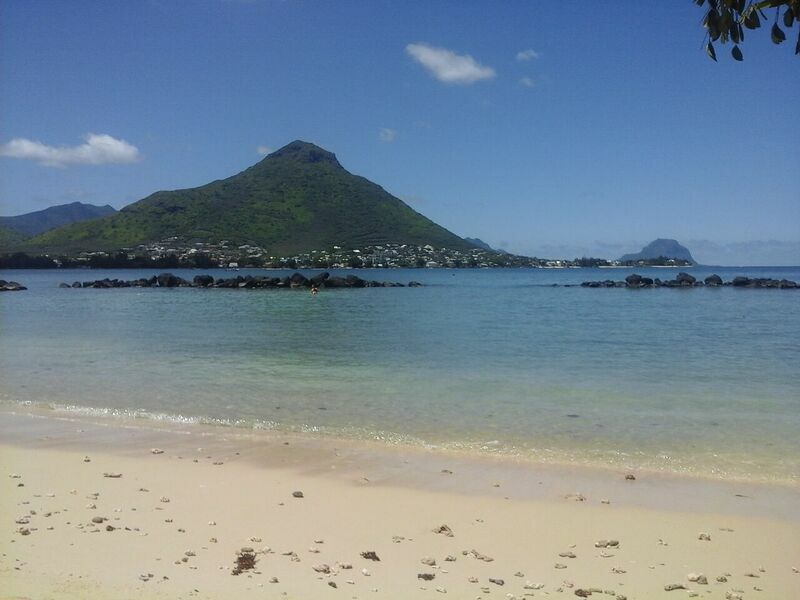 Tourism is very important in Mauritius consequently there are many hotels dotted around the varied coastline. *Please Note: For this departure to be guaranteed, there must be a minimum of 10 confirmed passengers. Arrive Mauritius and transfer to the Meriville Beach Resort. Depending on your flight times, you may enjoy a free day to enjoy this superior beach resort that is an oasis of calm. There are beautiful views overlooking the lagoon or tropical gardens with the scent of flowers and vanilla in the air. It is also within easy walking distance of the trendy seaside village of Grand Bay, renowned for its bustling nightlife, restaurants and shopping attractions. Enjoy dinner this evening. *Airfare into Mauritius is at an additional cost. Following breakfast depart for a day of visits in the north of the island. Visit the Old Sugar Mill of Aventure du Sucre now converted into a fascinating museum showing the sugar industry through the ages. Demonstration of the cutting and harvesting of the sugar cane. Lunch at La Fangou-rin Restaurant. Afternoon walk in the nearby Botanical Gardens with over 500 different plant species including 80 different palms. Return to the hotel. Evening talk and discussion with a local and knowledgeable farm manager. He will talk about Mauritian agriculture and will join the group for buffet dinner. After breakfast visit to Domaine of Labourdonnais, an old sugar estate that has been in the same family for many years and is now run by two cousins who have tastefully developed it into a major tourist attraction. Get a look “behind the scenes” with the owners to see the old house, the orchards, the conversion of old buildings into commercial units, the farm shop, the restaurant and the new train which will be operating to take visitors around the grounds. There will be tasting of the various products that the estate produces before lunch in La Terasse. Free time in the gardens and the shops. Short drive back to the hotel. Buffet dinner this evening. Breakfast. A full day to relax for your own interests utilising the hotels activities – sail boarding, fishing, or lazing on the beach or by the pool. Lunch own arrangement. Buffet dinner included this evening. Following breakfast at the resort, visit to a rice plantation that is growing rice both for the local population and for seed. This is a relatively new and innovative farming system managed by an international company. Continue to the capital, Port Louis to see the Citadelle, the harbour and to wander through the busy market of fruit, vegetables, fish, meat and local handmade articles. Lunch at the waterfront overlooking the harbour. In the afternoon visit to Les Moulins de la Concorde, a company processing grain for the local population, and for animal feeds. The last visit of the day will be Aapravasi Gath World Heritage Site (Immigration Depot) where the modern indentured labour diaspora began. In 1834, the British Government selected the island of Mauritius to be the first site for what it called ‘the great experiment’ in the use of ‘free’ labour to replace slaves. Depart and return to the hotel. Buffet dinner. After breakfast check out of the resort in Grande Baie and travel to the south west of the island. Morning visit to a small farm with stock and a huge variety of vegetables grown on a very small plot. Enjoy a typical Mauritian lunch in the local restaurant owned by the owner of the farm using her home grown produce. Afterwards, head to the Frederica Nature Reserve to take quad bikes or buggies (accompanied) to see, hear and learn about the unique biodiversity of Mauritius. You may be lucky to catch sight of the rare Mauritius Black Bulbul and the Echo Parakeet which have been saved from extinction. This reserve is also home to 2,500 Java deer that are bred on the 1,300 hectare estate. Arrive and check in at the Sands Resort and Spain Flic en Flac for 5 night stay. Buffet dinner at the hotel. Breakfast. Full day to enjoy the superb hotel amenities – beach, swimming pool, water sports etc. Lunch own arrangement. Buffet dinner included. Breakfast at resort then visit to FAREI – Food and Agricultural Research and Extension Institute and a tour of the greenhouses. Visit to a vegetable plantation and lunch at Colonial Mansion. Visit to the Agricultural Marketing Board, at Moka before returning to resort. Buffet dinner included. A morning visit to a nursery that is growing vanilla, orchids and anthuriums followed by tea plantation for a tour and tasting. Lunch at Saint Aubin restaurant followed by a visit to their plantation that also boasts a rum distillery. Return to the hotel. Buffet dinner. After breakfast depart for a visit to a pineapple and ginger operation where you will enjoy a welcome cocktail, a presentation on the farm and see a pineapple cutting demonstration. Lunch at the facility and then transfer to your new hotel resort. Dinner in the hotel. Following breakfast, depart to visit a protected coral island called Isle aux Aigrettes. Here giant tortoises and fruit bats are among the species being studied and protected. Lunch at a delightful local restaurant overlooking the Grand Bay where the French beat the British in a naval battle! Afternoon visit to Biscuiterie Rault, a family business established over 140 years ago making traditional biscuits using a secret recipe from tapioca. Tasting of the various biscuit flavours. Return to the resort. Buffet dinner at resort. Breakfast. Full day to enjoy the superb hotel amenities – beach, swimming pool, water sports etc. Lunch own arrangement. Final tour dinner in hotel. Final time for relaxation before you transfer to the airport. Depending on your flight times, you may enjoy free time before this. *Airfare from Mauritius is at an additional cost. Single Price: aDD $1,897.00 CAD to above price.